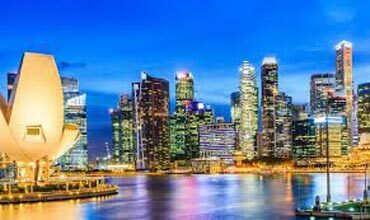 SINGAPORE - Singapore City Tour with Singapore Flyer, Sentosa Island Tour Admission, Cable Car, Luge & Skyride,4D Adventure Land, Wings of Time , Full day Universal Studio Tour with Meal Coupon. 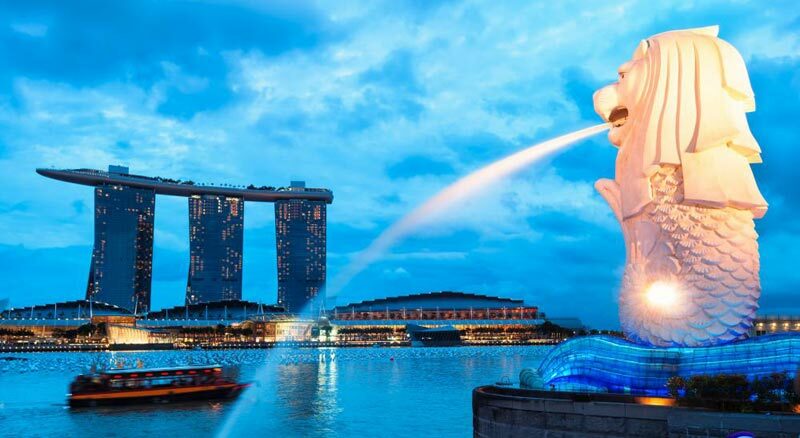 Today after breakfast, Half Day Singapore City Tour with Singapore Flyer, afternoon Visit Sentosa Island Tour with Admission, Cable Car, Luge & Skyride,4D Adventure Land, Wings of Time , back to hotel & overnight stay. 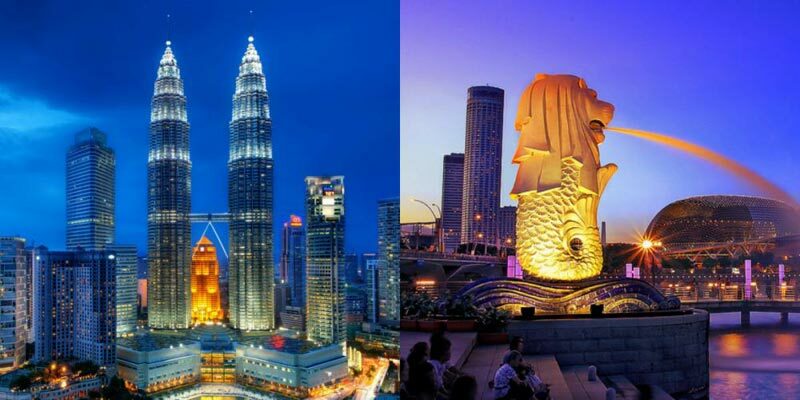 After morning breakfast, move to enjoy half - day tour of Kuala Lumpur and visit - old world Moorish architecture, Parliament House, Sultan Abdul Samad Building, Jamek Mosque, Independence Square, National Monument, Lake Gardens, China Town, King's Palace and handicraft centre. Return to hotel and stay overnight. Have breakfast in the morning and transfer to Genting. Stop for a while at the Batu caves and proceed to board on cable car for Genting. Spend your whole day enjoying at the theme park with many rides. Whole night stay and dinner at the Hotel. Post breakfast in the hotel, get an assisted transfer to the airport to board the flight to Bangkok. On arriving at the airport, our tour representative helps you in transfer to your hotel in Pattaya. Complete the check - in formalities. Pattaya is placed 150 km south - eastwards of Bangkok and is easily accessible by road (2 hours’ drive). Pattaya is fun for people of all ages and offers varied experiences like beaches, fun, sightseeing, entertainment and recreation. The evening visit Alcazar Show. Dinner at the restaurant with transfers. Stay Overnight. Blessed with white sands and serene ambiance, this island is a perfect place for lazing around and enjoying some peaceful moments with the loved ones. If you are an adventurous soul, try your hand at water sports like jet skiing, water skiing and parasailing. Opt for Deep - sea diving and snorkeling to explore the underwater world of islands like Koh Sak and Koh Krok. Later on, back from the island to savor lunch at an Indian restaurant in Pattaya. Overnight stay in Pattaya. Have sumptuous breakfast at the hotel. Leave the hotel for a city and temple tour of Bangkok, after arrival. 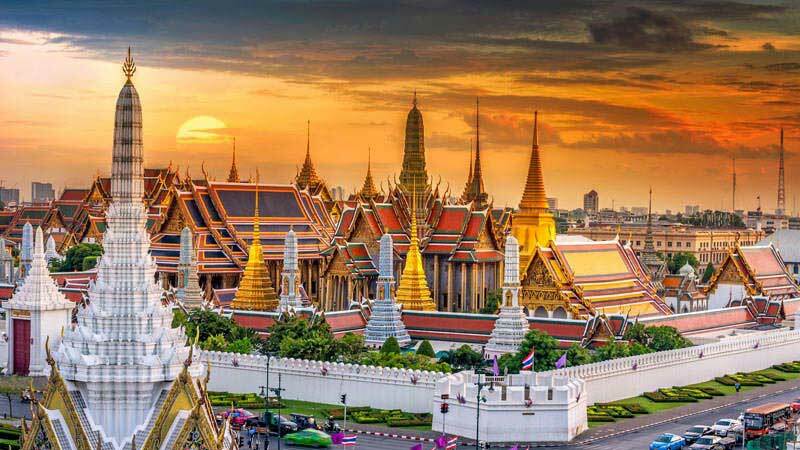 This beautiful capital city of Thailand is known for its spas, stunning temples, colorful nightlife, and unending shopping. 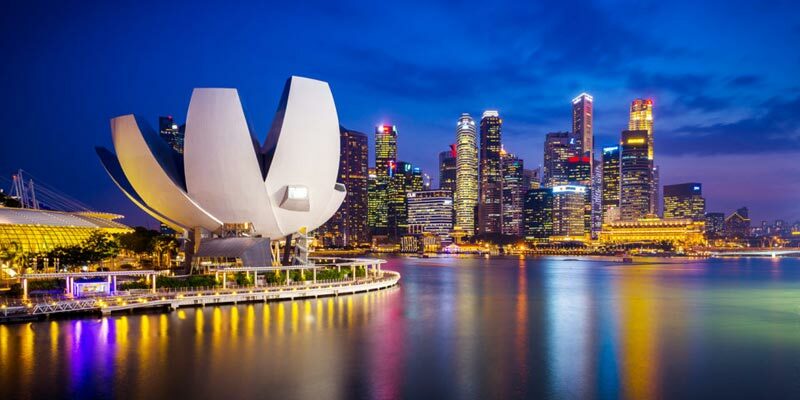 As you fulfill the check - in formalities, continue the city tour. The city tour of Bangkok includes some of the most revered Buddhist temples, which are locally known as WATS. Later, visit Wat Traimit - the Temple of the Golden Buddha. A 5.5 ton statue of Lord Buddha made from solid gold, which is a wonderful example of Sukhothai art is the prime attraction here. The next temple you pay your homage at, is Wat Pho - the Temple of the Reclining Buddha. It is the oldest and largest religious site in Bangkok. Later, indulge in shopping at the Gems Gallery. Back to the hotel. Dinner at the restaurant with transfers.Overnight stay in Bangkok. A day at leisure is preceded by breakfast at the hotel. 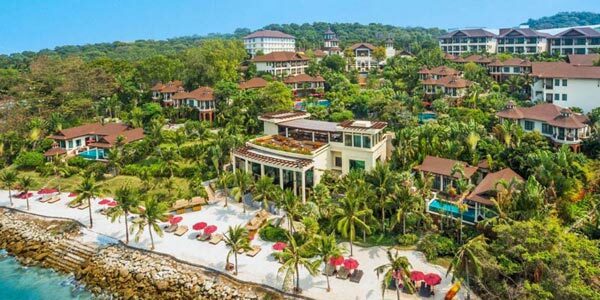 You can either relax and enjoy the facilities of the hotel or can opt for a visit to the Safari World and Marine Park, the popular open zoo of Thailand. It is segregated into four sections- Safari Park, Bird Park, Games Corner and Macaw Island. Spot seals, dolphins, orangutans and other exotic animal and bird species in a beautiful African ambiance. There are a number of dining spaces for lunch here. Back to the hotel. The evening is at leisure. Dinner at the Restaurant with transfers.Stay Overnight. Today after continental breakfast, time free till transfer to airport for your flight to India with beautiful memories of your tour. 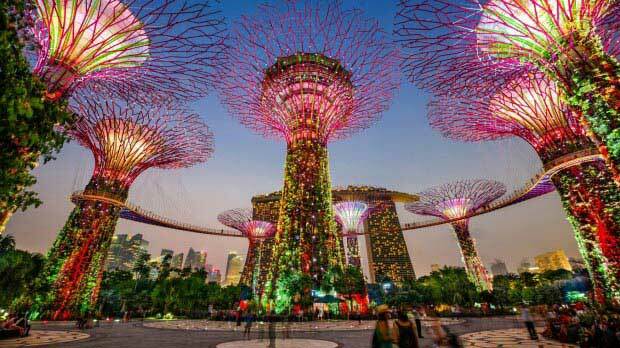 It’s time to share your experience of Singapore & Malasiya ,Thailand tour with your friends. We look forward to serve you again for your next holiday tour.